Thanks to Barbara Sizemore of Chillicothe, Missouri for sharing this information! The County Poor Farm was located in Cream Ridge Township, about four miles north of Chillicothe on the west side of what is now Highway 65. It contained 210 acres, roughly the southern third of Section 36 in Township 59 North, Range 24 West. The land was purchased August 10, 1867. The frame house, built before 1870, is a large one and one-half story structure. 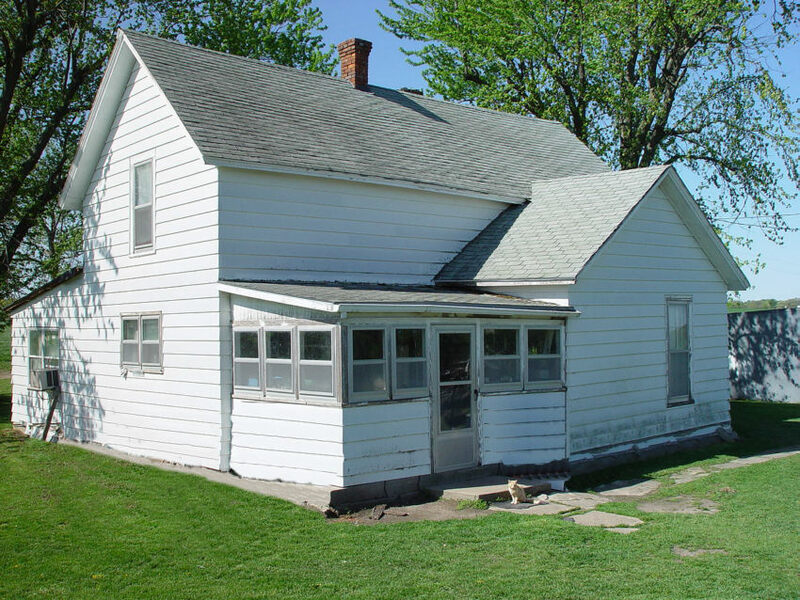 Now a single family dwelling, it is still standing in 2004 (see photo above) though slightly changed. The front porch (at far left) and back porch have been enclosed and siding added to the house. This building was originally inhabited by medical patients whose families were unable to care for them, indigents, unwed mothers and the mentally infirm. It received continuous use until 1901 when it was sold and replaced by an infirmary located about one mile southwest of Chillicothe, near the Burlington railroad tracks. County physician (and future Missouri Governor) Dr. Alexander M. Dockery kept a ledger of Poor Farm residents from January 4, 1871 until about 1878. This incomplete list was compiled from that ledger and from the Federal census of 1870, 1880 and 1900. DOB is the approximate date of birth. In some cases the resident was legally insane and that person's age was difficult or impossible to determine accurately. Medley, Julia 1848 Kentucky bef. July 26, 1870 bef. June 1880. *Susan Canfield was described as a blind lunatic. The county was unable to care for her at the poor farm, so they paid Elizabeth "Granny" Holcomb to care for her in the Holcomb home.